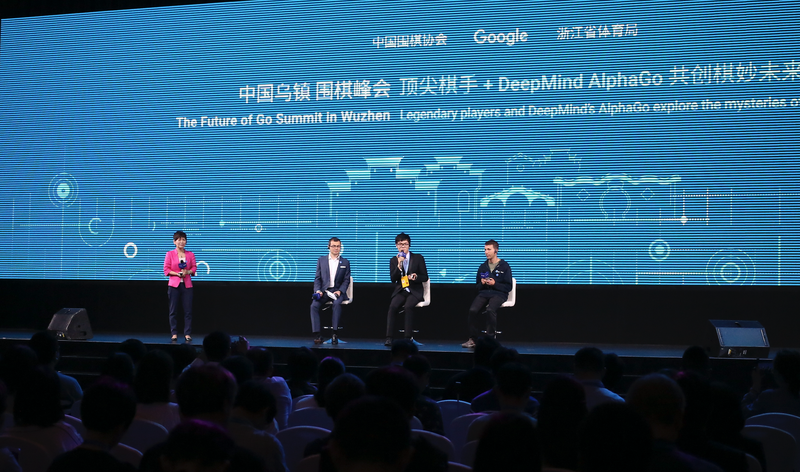 In Wuzhen, China, on Thursday, Google’s AlphaGo artificial intelligence beat the world’s best (human) Go player in their second consecutive match, making the computer program the current champion of humanity’s most complex game. AlphaGo has now won two matches against 19-year-old Ke Jie, who has been ranked as the world’s number one Go player and won four international tournaments since 2014. The mini-tournament is a best of three and if Jie overcomes the AI in their final match, it would still be a 2:1 win in AlphaGo’s favor. Created by DeepMind, Google’s AI division, AlphaGo isn’t officially ranked as a player, but the string of victories is a landmark moment for AI development. Go is an immensely complex game that requires shifting strategies, foresight in anticipating and responding to your opponent, and a certain degree of unpredictability so that you’re not outmatched. AlphaGo was able to both mimic human patterns and search through an astounding 10 to the power of 700 possible variations moves in the game to determine the best way to beat Jie. This is an enormous achievement in the AI field, though it’s at least a little terrifying to think that computer programs can play even our hardest games better than we can.